How does a healthy twist on a shrimp cocktail sound? 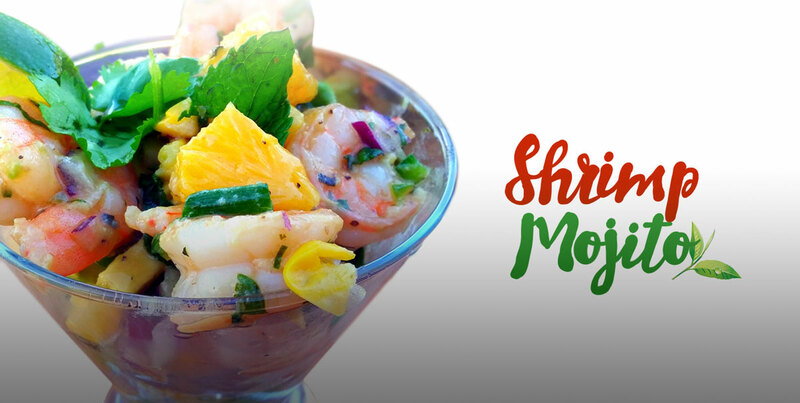 This good-for-you Shrimp Mojito recipe crafted by Chef Geo of ProTreats is low in sugar and packed with flavor. It’s also easy to make and a simple way to impress those dinner guests. ln a large sauté pan, warm the oil. Add the shrimp, and stir in the garlic and cumin. Season with 1 teaspoon salt and 1/2 teaspoon of pepper. Cook over high heat for 1 minute, then reduce the heat and turn the shrimp. Carefully add the rum and then the lime juice. Continue to cook the shrimp until they are rosy pink. Toss the shrimp with the mint and 2 tablespoons of the cilantro, then set aside. In a small stainless-steel bowl, combine the onion, remaining 6 tablespoons of cilantro, corn, green onions and jalapeno. Spoon the salsa into the center of each plate. Arrange the shrimp around the salsa. Drizzle with mojito sauce ( the pan juices) and garnish with cilantro sprigs.